Anticholinergic medications used to treat bladder conditions, Parkinson's disease, and depression are associated with an increased risk of dementia, according to a large study published online April 25, 2018, by The BMJ. Anticholinergic drugs help to contract and relax muscles. They work by blocking acetylcholine, a substance that also transmits messages in the nervous system. In the study, researchers compared the medical records of 40,770 people older than 65 who were diagnosed with dementia and 283,933 seniors without. They found that people diagnosed with dementia were up to 30% more likely to have been prescribed anticholinergic medications for Parkinson's, bladder problems, or depression. Frequently prescribed anticholinergic drugs include procyclidine (Kemadrin) for Parkinson's; tolterodine, oxybutynin, and solifenacin (Vesicare) for urological conditions like overactive bladder or incontinence; and amitriptyline, dosulepin, and paroxetine for depression. However, there was no association between dementia and anticholinergic drugs used to treat other common conditions like hay fever, travel sickness, and stomach cramps. The study also found that people who developed dementia took the anticholinergic medication for between four and 20 years before being diagnosed, and the longer they took the drugs, the greater their risk. 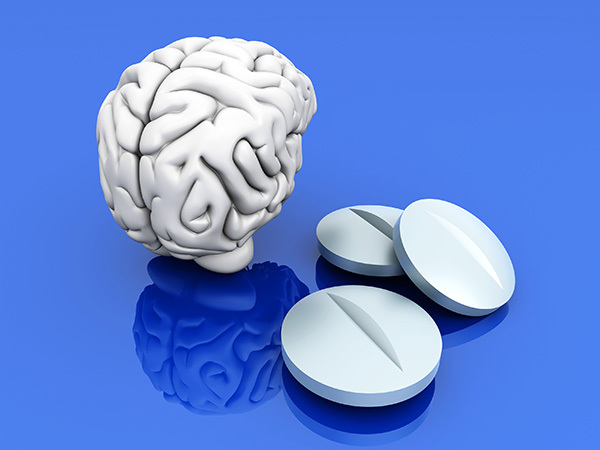 It is not known for certain how these drugs may be linked with dementia. One concern is that the anticholinergic effect may speed the onset of dementia in susceptible individuals. The researchers added that more research is needed and that people with concerns should continue taking their medication until they speak with their doctor.